Please note-the picture below is a thumbnail. Click on it to view the full size map however the file size is quite large and it will take a few minutes to load. Use your browsers back button to return to this page. An effort has been made to compile records on all known cemeteries and single graves that are known to exist in Wichita County. We have a database on computers in the research room with names of people buried in the following cemeteries. Click on the name of the cemetery for more information. 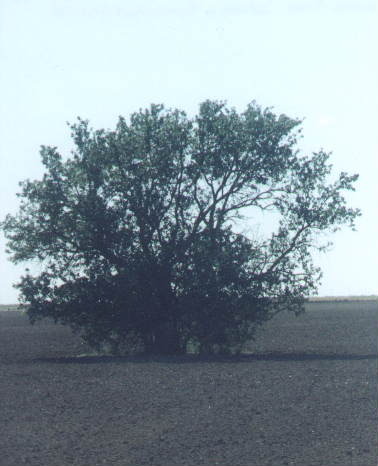 Another burial was made by the lone tree near the northeast corner of the southeast quarter of section 13-17-38. This grave is about five and one-half miles west and six and one-half miles north of the intersection of Leoti, Kansas. 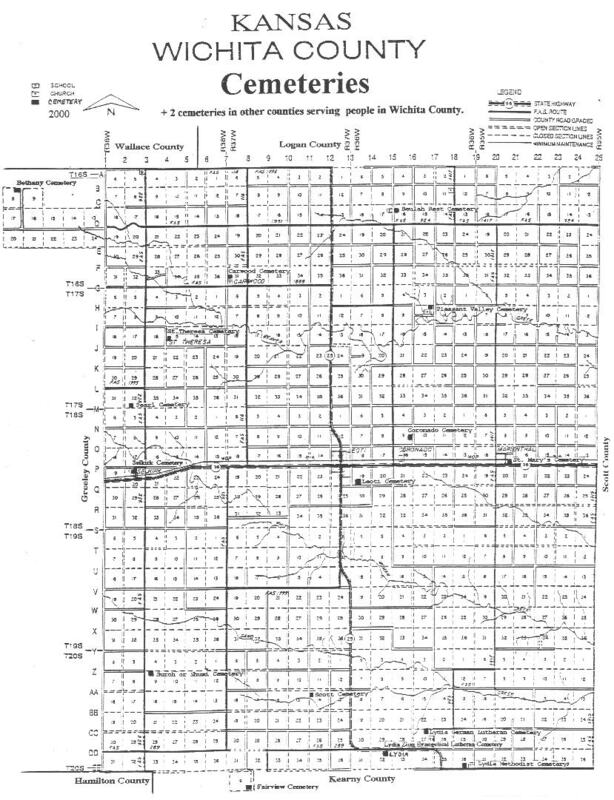 Courtesy of ‘History of Wichita County Kansas – Volume 1’. Compiled by John K. Glanville. A Gorsuch is buried here.